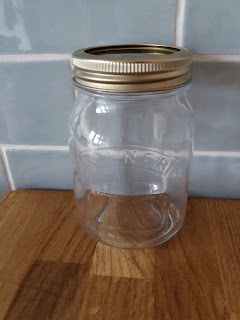 Delighted by my find in Home Bargains I purchased lovely little Kilner jars for 79p each!!! I had just come from a shop where the same jars were £5.99! 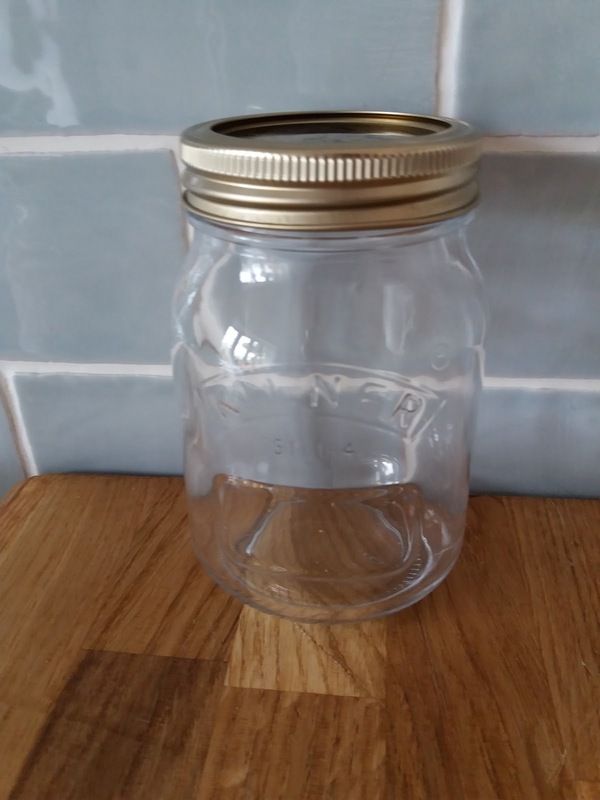 They only had three left - lucky for me because I always go mad when I see a bargain and would have stockpiled Kilner jars I didn't need. I knew I had some Annie Sloan at home but they had seen better days. They were in storage in a cold garage from January to June so I really should have known better. The pure white one looked ok just the tin looked rusty. The sample pots though were dried to the bottom. But did I let that stop me? No I just cracked on with the advice "a little bit of water and they will be fine"...My mother in law also gave me some Rustoleum in Flint so I was all the road. First coat and the Rustoleum did not do well. Very runny and not a good consistency (never used it before and assuming it was my Mother in law's storage of it that made it this way too). 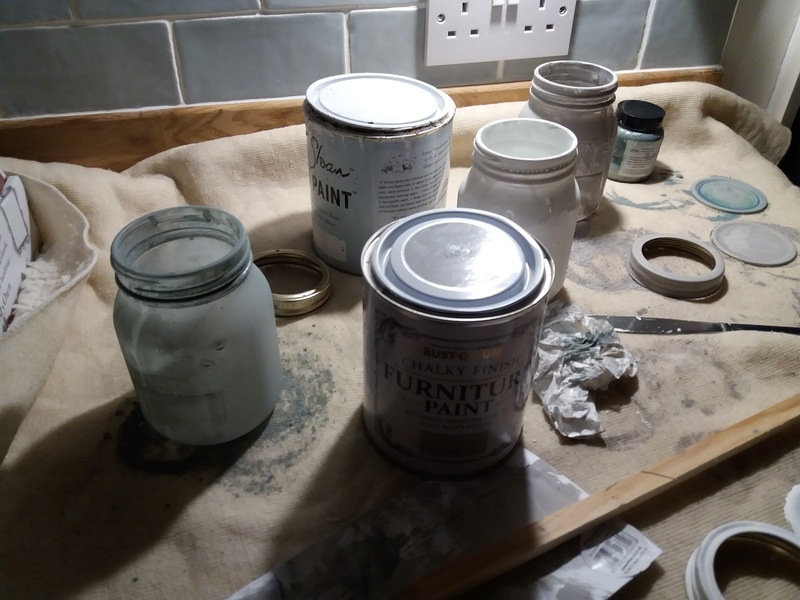 The Annie Sloan white went on a dream except for tiny air bubbles I am not sure if that is a thing with off paint or what the story is there but I didn't bother googling I just popped the bubbles and left it to dry. 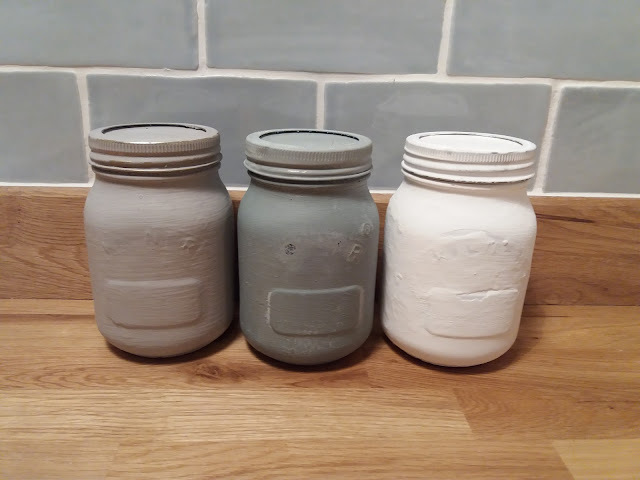 The Annie Sloan duck egg blue sample pot I had was a different story. As it was totally stuck to the bottom I had to add quite a bit of water to even get it to move. 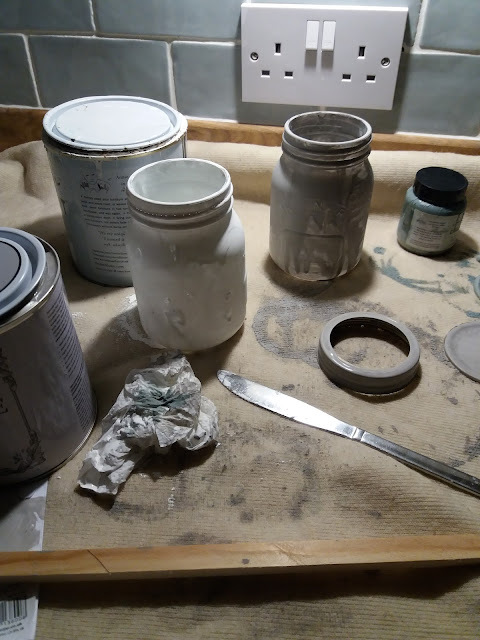 Then I poured away the excess and tried off and on with different mixing and water consistencies until I decided to add in some of the thicker white paint. That went very well. Still looked very simple and I thought I was on to a winner. Tell me this was not a fool-proof project or am I just a fool?